Akshay Kumar is set as the lead for a new globe-spanning, action-adventure thriller original series from Amazon Prime Video — with the working title of ‘The End' — that will mark the streaming debut for the 51-year-old actor. 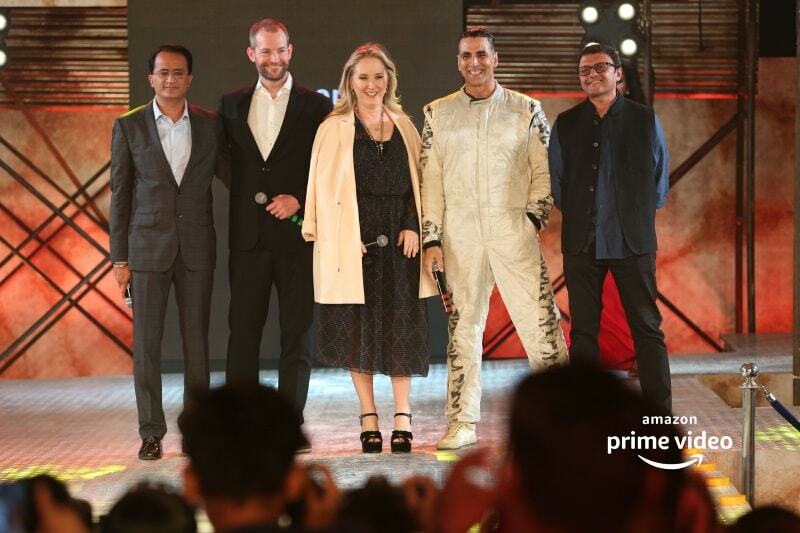 Currently in development, The End has a multi-season order from Amazon and is “being envisioned at an unprecedented scale and cinematic experience”, Amazon said in its announcement Tuesday in Mumbai, where Kumar made a (literal) fiery appearance. The End will be produced by Abundantia Entertainment, makers of another Prime Original in Breathe, whose season 2 is currently in production with Abhishek Bachchan in the lead. Kumar-starrer The End becomes the seventh new Indian series greenlit by Amazon in recent weeks, following the announcement of a Tamil spin-off of Comicstaan, the romantic musical Bandish Bandits from director Anand Tiwari (Love Per Square Foot) that will be scored by Shankar–Ehsaan–Loy, crime thriller The Last Hour created by Amit Kumar (Monsoon Shootout), an untitled drama thriller from Udta Punjab writer Sudip Sharma and produced by Anushka Sharma, an untitled youth-focused political drama from Ali Abbas Zafar (Sultan), and an untitled reality series from comedian Sapan Verma. Additionally, both Mirzapur and Comicstaan have been officially greenlit for second seasons. Amazon has several shows from India lined up for 2019 as well, including an unscripted reality competition series Skulls & Roses that will be hosted by MTV Roadies creators Raghu Ram and Rajiv Lakshman, British India-era period drama The Forgotten Army about Subhash Chandra Bose's Indian National Army from Kabir Khan (Bajrangi Bhaijaan), and Manoj Bajpayee-starrer spy series The Family Man that will be directed by Raj Nidimoru and Krishna D.K. (Go Goa Gone). Its next Indian original, Delhi-based drama Made in Heaven — from the makers of Gully Boy, Zoya Akhtar and Reema Kagti — is out Friday, March 8, 2019 on Prime Video worldwide.